Research in Motion's BlackBerry PlayBook has once again reached rock-bottom prices, with the 16GB model selling for $199 at ShopBlackBerry.com. That's $300 cheaper than the BlackBerry PlayBook's original price. ShopBlackBerry is also selling the 32GB model for $249 and the 64GB model for $299--savings of $350 and $400, respectively. ShopBlackBerry, which appears to be the only retailer offering these prices, says the sale ends on February 11. 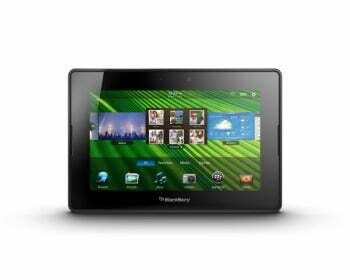 The cost of BlackBerry PlayBooks has been on a roller coaster ever since RIM slashed prices for Black Friday. Since then, the 16GB model has dropped to $199 on two occasions, including the current sale. Last month, RIM temporarily slashed the PlayBook's price to $300 for all models, regardless of storage capacity. RIM was forced to cut prices on the PlayBook due to poor sales. In December, the company said it would take a $485 million write-down to get rid of PlayBook inventory at steep discounts. The tablets do tend to sell out when they're on sale, but RIM has yet to say how many PlayBooks it's sold. My experience with the PlayBook, around the time that it launched, was a mix of joy and frustration. The tablet has a clever interface for moving between apps, allowing the user to swipe from the sides of the display instead of using physical buttons, and it supports true multitasking so apps can run in the background without restrictions. But the tablet's shortage of apps, lack of native e-mail, and occasional bugginess made it difficult to use. This month, however, RIM is planning to launch version 2.0 of the PlayBook, with native apps for e-mail and contacts, and the ability to run Android apps that developers submit to RIM. Although the PlayBook won't have the same breadth of apps as Apple's iPad or Android tablets, my colleague Melissa J. Perenson went hands-on with the PlayBook 2.0 OS at CES last month, and liked what she saw. The new OS should breathe some new life into the tablet, so if you've been at all interested in getting one, now is the time.